“Masonic” and “Freemason” redirect here. For the ghost town, see Masonic, California. For other uses, see Freemason (disambiguation). “Freemasons” redirects here. For the house music producers, see Freemasons (band). Relations between Grand Lodges are determined by the concept of Recognition. Each Grand Lodge maintains a list of other Grand Lodges that it recognises. When two Grand Lodges recognise and are in Masonic communication with each other, they are said to be in amity, and the brethren of each may visit each other’s Lodges and interact Masonically. When two Grand Lodges are not in amity, inter-visitation is not allowed. There are many reasons one Grand Lodge will withhold or withdraw recognition from another, but the two most common are Exclusive Jurisdiction and Regularity. Regularity is a concept based on adherence to Masonic Landmarks, the basic membership requirements, tenets and rituals of the craft. Each Grand Lodge sets its own definition of what these landmarks are, and thus what is Regular and what is Irregular (and the definitions do not necessarily agree between Grand Lodges). Essentially, every Grand Lodge will hold that its landmarks (its requirements, tenets and rituals) are Regular, and judge other Grand Lodges based on those. If the differences are significant, one Grand Lodge may declare the other “Irregular” and withdraw or withhold recognition. “Antient landmarks, customs and usages” observed. All Freemasons begin their journey in the “craft” by being progressively “initiated”, “passed” and “raised” into the three degrees of Craft, or Blue Lodge Masonry. During these three rituals, the candidate is progressively taught the meanings of the Lodge symbols, and entrusted with grips, signs and words to signify to other Masons that he has been so initiated. The initiations are part allegory and part lecture, and revolve around the construction of the Temple of Solomon, and the artistry and death of his chief architect, Hiram Abiff. The degrees are those of “Entered apprentice”, “Fellowcraft” and “Master Mason”. While many different versions of these rituals exist, with at least two different lodge layouts and versions of the Hiram myth, each version is recognisable to any Freemason from any jurisdiction. The idea of Masonic brotherhood probably descends from a 16th-century legal definition of a “brother” as one who has taken an oath of mutual support to another. Accordingly, Masons swear at each degree to keep the contents of that degree secret, and to support and protect their brethren unless they have broken the law. In most Lodges the oath or obligation is taken on a Volume of Sacred Law, whichever book of divine revelation is appropriate to the religious beliefs of the individual brother (usually the Bible in the Anglo-American tradition). In Progressive continental Freemasonry, books other than scripture are permissible, a cause of rupture between Grand Lodges. There is no clear mechanism by which these local trade organisations became today’s Masonic Lodges. The earliest rituals and passwords known, from operative lodges around the turn of the 17th–18th centuries, show continuity with the rituals developed in the later 18th century by accepted or speculative Masons, as those members who did not practice the physical craft gradually came to be known. The minutes of the Lodge of Edinburgh (Mary’s Chapel) No. 1 in Scotland show a continuity from an operative lodge in 1598 to a modern speculative Lodge. It is reputed to be the oldest Masonic Lodge in the world. 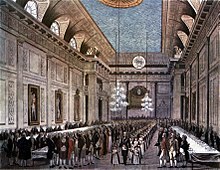 The first Grand Lodge, the Grand Lodge of London and Westminster (later called the Grand Lodge of England (GLE)), was founded on St John’s Day, 24 June 1717, when four existing London Lodges met for a joint dinner. Many English Lodges joined the new regulatory body, which itself entered a period of self-publicity and expansion. However, many Lodges could not endorse changes which some Lodges of the GLE made to the ritual (they came to be known as the Moderns), and a few of these formed a rival Grand Lodge on 17 July 1751, which they called the “Antient Grand Lodge of England.” These two Grand Lodges vied for supremacy until the Moderns promised to return to the ancient ritual. They united on 27 December 1813 to form the United Grand Lodge of England (UGLE). After the American Revolution, independent U.S. Grand Lodges developed within each state. 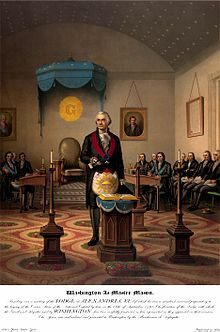 Some thought was briefly given to organising an overarching “Grand Lodge of the United States,” with George Washington (who was a member of a Virginian lodge) as the first Grand Master, but the idea was short-lived. The various state Grand Lodges did not wish to diminish their own authority by agreeing to such a body. Jamaica served as an arms depot for the revolutionary forces when two Kingston Freemasons, Wellwood and Maxwell Hyslop, financed the campaigns of SimÛn BolÌvar, the Liberator, to whom six Latin American Republics owe their independence”. BolÌvar himself was a Mason, enjoying contacts with Brethren in Spain, England, France, and Venezuela until after gaining power in Venezuela, he prohibited all secret societies in 1828 and included the Freemasons. A dispute during the Lausanne Congress of Supreme Councils of 1875 prompted the Grand Orient de France to commission a report by a Protestant pastor which concluded that, as Freemasonry was not a religion, it should not require a religious belief. The new constitutions read, “Its principles are absolute liberty of conscience and human solidarity”, the existence of God and the immortality of the soul being struck out. It is possible that the immediate objections of the United Grand Lodge of England were at least partly motivated by the political tension between France and Britain at the time. The result was the withdrawal of recognition of the Grand Orient of France by the United Grand Lodge of England, a situation that continues today. The term Continental Freemasonry was used in Mackey’s 1873 Encyclopedia of Freemasonry to “designate the Lodges on the Continent of Europe which retain many usages which have either been abandoned by, or never were observed in, the Lodges of England, Ireland, and Scotland, as well as the United States of America”. Today, it is frequently used to refer to only the Liberal jurisdictions typified by the Grand Orient de France. The majority of Freemasonry considers the Liberal (Continental) strand to be Irregular, and thus withhold recognition. 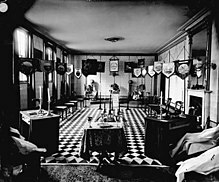 For the Continental lodges, however, having a different approach to Freemasonry was not a reason for severing masonic ties. 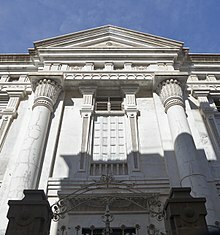 In 1961, an umbrella organisation, Centre de Liaison et d’Information des Puissances maçonniques Signataires de l’Appel de Strasbourg (CLIPSAS) was set up, which today provides a forum for most of these Grand Lodges and Grand Orients worldwide. Included in the list of over 70 Grand Lodges and Grand Orients are representatives of all three of the above categories, including mixed and women’s organisations. The United Grand Lodge of England does not communicate with any of these jurisdictions, and expects its allies to follow suit. This creates the distinction between Anglo-American and Continental Freemasonry. In the early 20th century Freemasonry was an influential semi-secret force in Italian politics with a strong presence among professionals and the middle class across Italy, as well as among the leadership of the parliament, public administration, and the army. The two main organisation were the Grand Orient and the Grand Lodge of Italy. They had 25,000 members in 500 or more lodges. Freemasons took on the challenge of mobilizing the press, public opinion and the leading political parties in support of Italy’s joining the Allies of the First World War in 1914-1915. Traditionally, they promoted Italian nationalism focused on unification, and undermining the power of the Catholic Church. In 1914-15 they dropped the traditional pacifistic rhetoric and used instead the powerful language of Italian nationalism. Freemasonry had always promoted cosmopolitan universal values, and by 1917 onwards they demanded a League of Nations to promote a new post-war universal order based upon the peaceful coexistence of independent and democratic nations. The status of women in the old guilds and corporations of mediaeval masons remains uncertain. 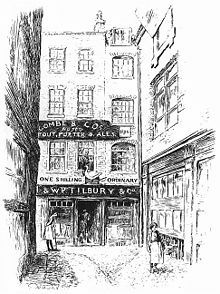 The principle of “femme sole” allowed a widow to continue the trade of her husband, but its application had wide local variations, such as full membership of a trade body or limited trade by deputation or approved members of that body. In masonry, the small available evidence points to the less empowered end of the scale. At the dawn of the Grand Lodge era, during the 1720s, James Anderson composed the first printed constitutions for Freemasons, the basis for most subsequent constitutions, which specifically excluded women from Freemasonry. As Freemasonry spread, continental masons began to include their ladies in Lodges of Adoption, which worked three degrees with the same names as the men’s but different content. The French officially abandoned the experiment in the early 19th century. Later organisations with a similar aim emerged in the United States, but distinguished the names of the degrees from those of male masonry. In general, Continental Freemasonry is sympathetic to Freemasonry amongst women, dating from the 1890s when French lodges assisted the emergent co-masonic movement by promoting enough of their members to the 33rd degree of the Ancient and Accepted Scottish Rite to allow them, in 1899, to form their own grand council, recognised by the other Continental Grand Councils of that Rite. The United Grand Lodge of England issued a statement in 1999 recognising the two women’s grand lodges there to be regular in all but the participants. While they were not, therefore, recognised as regular, they were part of Freemasonry “in general”. The attitude of most regular Anglo-American grand lodges remains that women Freemasons are not legitimate Masons. In 2018 guidance was released by the United Grand Lodge of England stating that, in regard to transgender women, “A Freemason who after initiation ceases to be a man does not cease to be a Freemason”. The guidance also states that transgender men are allowed to apply to become Freemasons. The denomination with the longest history of objection to Freemasonry is the Catholic Church. The objections raised by the Catholic Church are based on the allegation that Masonry teaches a naturalistic deistic religion which is in conflict with Church doctrine. A number of Papal pronouncements have been issued against Freemasonry. The first was Pope Clement XII‘s In eminenti apostolatus, 28 April 1738; the most recent was Pope Leo XIII‘s Ab apostolici, 15 October 1890. The 1917 Code of Canon Law explicitly declared that joining Freemasonry entailed automatic excommunication, and banned books favouring Freemasonry. Free Methodist Church founder B.T. Roberts was a vocal opponent of Freemasonry in the mid 19th century. Roberts opposed the society on moral grounds and stated, “The god of the lodge is not the God of the Bible.” Roberts believed Freemasonry was a “mystery” or “alternate” religion and encouraged his church not to support ministers who were Freemasons. Freedom from secret societies is one of the “frees” upon which the Free Methodist Church was founded. Christian men, who were discouraged from joining the Freemasons by their Churches or who wanted a more religiocentric society, joined similar fraternal organisations, such as the Knights of Columbus for Catholic Christians, and the Loyal Orange Institution for Protestant Christians, although these fraternal organisations have been “organized in part on the style of and use many symbols of Freemasonry”. The preserved records of the Reichssicherheitshauptamt (the Reich Security Main Office) show the persecution of Freemasons during the Holocaust. 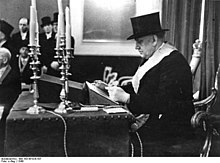 RSHA Amt VII (Written Records) was overseen by Professor Franz Six and was responsible for “ideological” tasks, by which was meant the creation of antisemitic and anti-Masonic propaganda. While the number of victims is not accurately known, historians estimate that between 80,000 and 200,000 Freemasons were killed under the Nazi regime. Masonic concentration camp inmates were classified as political prisoners and wore an inverted red triangle. Hitler believed Freemasons had succumbed to Jews conspiring against Germany. The small blue forget-me-not flower was first used by the Grand Lodge Zur Sonne, in 1926, as a Masonic emblem at the annual convention in Bremen, Germany. In 1938 a forget-me-not badge—made by the same factory as the Masonic badge—was chosen for the annual Nazi Party Winterhilfswerk, the annual charity drive of the National Socialist People’s Welfare, the welfare branch of the Nazi party. This coincidence enabled Freemasons to wear the forget-me-not badge as a secret sign of membership. ^ “What is Freemasonry”. www.chevalierramsay.be. Retrieved 14 June 2017. ^ Campbell, Donald G.; Committee on Ritual. “The Master Mason; Irregular and Clandestine Lodges”. Handbook for Candidate’s Coaches (excerpt). Grand Lodge F.&A.M. of California. Retrieved 8 May 2007. ^ UGLE Book of Constitutions, “Basic Principles for Grand Lodge Recognition”, any year since 1930, page numbers may vary. ^ Dafoe, Stephen. “Rosicrucians and Freemasonry | Masonic Dictionary | www.masonicdictionary.com”. www.masonicdictionary.com. Retrieved 14 June 2017. ^ “History of Freemasonry timeline”. United Grand Lodge of England. Retrieved 12 June 2018. ^ S. Brent Morris (2006). The Complete Idiot’s Guide to Freemasonry. Alpha/Penguin Books. p. 27. ISBN 1-59257-490-4. ^ a b “Charting The History Of Freemasons In Jamaica”. Jamaica Gleaner Newspaper. 10 December 2017. ^ “English Freemasons To Celebrate Their 300th Year In Jamaica”. Jamaica Gleaner Newspaper. 18 April 2017. ^ Johnson, Lawrence (1996). “Who is Prince Hall? And other well known Prince Hall Masons”. Retrieved 14 November 2005. ^ Bessel, Paul M. “Prince Hall Masonry Recognition details: Historical Maps”. Retrieved 14 November 2005. ^ Fulvio Conti, “From Universalism to Nationalism: Italian Freemasonry and the Great War.” Journal of Modern Italian Studies 20.5 (2015): 640-662. ^ a b Damien Gayle (2018). “Freemasons to admit women – but only if they first joined as men | UK news”. The Guardian. Retrieved 1 August 2018. ^ “Antimasonry – Definition of Antimasonry by Webster Dictionary”. Webster-dictionary.net. Retrieved 8 September 2011. ^ Morris, S. Brent (2006). The Complete Idiot’s Guide to Freemasonry. New York: Alpha Books. pp. 85 (also discussed in chapters 13 and 16). ISBN 978-1-59257-490-2. OCLC 68042376. ^ Robinson, John J. (1993). A Pilgrim’s Path. New York: M. Evans. p. 129. ISBN 978-0-87131-732-2. OCLC 27381296. ^ de Hoyos, Arturo; S. Brent Morris (18 August 2002). “Leo Taxil Hoax — Bibliography”. Grand Lodge of British Columbia and Yukon. Retrieved 7 July 2007. Lists many books which perpetuate Masonic ritual hoaxes. ^ Morris, S. Brent; The Complete Idiot’s Guide to Freemasonry, Alpha books, 2006, p,204. ^ Cardinal Law, Bernard (19 April 1985). “Letter of 19 April 1985 to U.S. Bishops Concerning Masonry”. CatholicCulture.org. Retrieved 9 July 2007. ^ Canon 2335, 1917 Code of Canon Law from “Canon Law regarding Freemasonry, 1917–1983”. Grand Lodge of British Columbia and Yukon. ^ McInvale, Reid (1991). “Roman Catholic Church Law Regarding Freemasonry”. Transactions of Texas Lodge of Research. 27: 86–97. OCLC 47204246. ^ Jack Chick. “The Curse of Baphomet”. Retrieved 29 September 2007. ^ Beresiner, Yasha (July 2006). “Archbishop Fisher – A Godly man and a Brother”. Masonic Quarterly Magazine (18). Retrieved 7 May 2007. ^ Hastings, Chris; Elizabeth Day (20 April 2003). “Rowan Williams apologises to Freemasons”. The Daily Telegraph. Archived from the original on 23 November 2007. Retrieved 9 July 2007. ^ “Freemasonry: Official Statement of the Church of Greece (1933)”. Orthodoxinfo.com. 12 October 1933. Retrieved 15 January 2011. ^ “Freemasonry and Religion” (PDF). United Grand Lodge of England. Retrieved 2 November 2013. ^ a b c Sands, David R (1 July 2004). “Saddam to be formally charged”. The Washington Times. Retrieved 18 June 2006. ^ “Hamas Covenant 1988”. Avalon.law.yale.edu. 18 August 1988. Retrieved 15 January 2011. ^ Leyiktez, Celil. “Freemasonry in the Islamic World”, Pietre-Stones Retrieved 2 October 2007. ^ “Mystery unveiled”. The Star Online. 17 April 2005. Retrieved 13 February 2014. ^ King, Edward L. (2007). “P2 Lodge”. Retrieved 31 October 2006. ^ Sparrow, Andrew (5 November 2009). “Jack Straw scraps rule saying judges must declare if they are masons”. guardian.co.uk. Retrieved 7 November 2009. ^ “World War II Documents showing the persecution of Freemasonry”. Mill Valley Lodge #356. Archived from the original on 10 December 2012. Retrieved 21 May 2006. ^ Katz. “Jews and Freemasons in Europe”. In Israel Gutman. The Encyclopedia of the Holocaust. p. vol. 2, p. 531. ISBN 978-0-02-897166-7. OCLC 20594356. ^ McKeown, Trevor W. “Hitler and Freemasonry”. ^ “Das Vergißmeinnicht-Abzeichen und die Freimaurerei, Die wahre Geschichte” (in German). Internetloge.de. Retrieved 8 July 2006. ^ Bernheim, Alain (10 September 2004). “The Blue Forget-Me-Not: Another Side Of The Story”. Pietre-Stones Review of Freemasonry. Retrieved 8 July 2006. ^ “The Story Behind Forget Me Not Emblem!”. Masonic Network. 11 December 2009. “Freemasonry” . Encyclopædia Britannica (11th ed.). 1911. A page about Freemasonry – claiming to be the world’s oldest Masonic website.